Wrinkles around the eyes immediately start developing as soon as your skin begins to become more inefficient in turning over skin, which is sadly, just around your 30s. 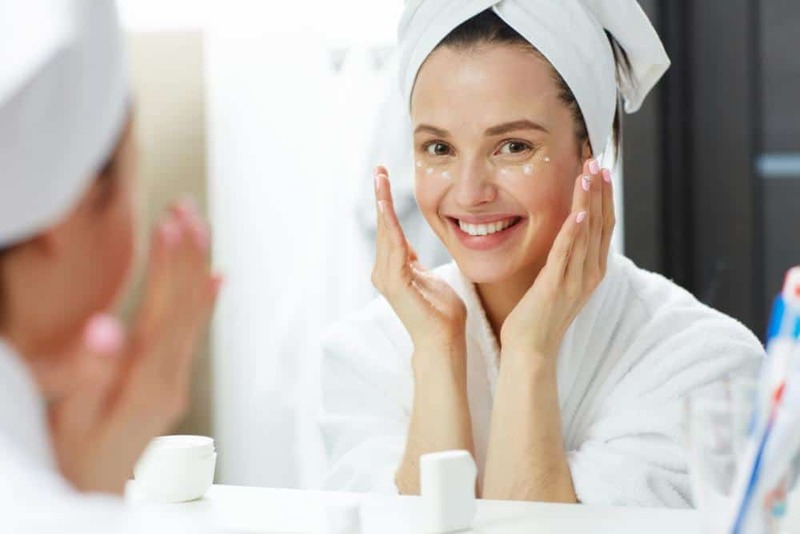 Though the daily application of an eye cream may not completely erase signs of skin aging around your eyes, this anti aging eye cream reviews do help to prevent new ones from showing up at all. Observe skin around your eyes and elsewhere on your face. If both areas appear to dry up or become oily in the same way, you probably don’t need an eye cream. You may simply use the same moisturizer you use on your face for areas around your eyes. You will only need an eye cream when the skin around your eyes appear to be thinner and dry out more easily than skin that’s, say, on your cheeks. Take a closer look at your eye area. Identify your specific skin issues so that you can choose the right eye cream to address them. If your problem is dryness, then finding an eye cream that has powerful, deeply hydrating ingredients must be on top of your list. If you have dark under eye problems then, Vitamin C, kojic acid and other similar skin brighteners should be included in the formulation. If wrinkles and crow’s feet are bothering you, then your eye cream must be infused with Retinol. Seek evidence of safety and effectiveness. Take a few clicks to check on product claims before you purchase. Keep in mind that the beauty industry is a billion dollars worth, and because of such, false claims are made left and right, and fake companies are lurking around to get a share of the pie. Make sure that your daytime eye cream contains sunscreen. Keep your delicate, thin-skinned eye area from getting sun-damaged by giving it regular SPF protection. When it comes to anti-aging, sun protection is always a must. Look for deep penetrating moisturizers and emollients. These ingredients add some layer of thickness to skin around your eyes, while also flooding skin with moisture, causing creases to be filled in and making skin appear smoother and flawless. Find a product that contains collagen and elastin. These two skin precursors are naturally produced by your body. With age, however, skin looses its ability to manufacture either of these, and a little boost from your eye product will help your skin heal and treat itself. Seek products that contain antioxidants. Whether you’re seeking an eye cream to prevent or to reverse signs of skin aging, there’s always no better time than now to employ some kind of damage protection for your skin, in the form of antioxidants. Peptides are small chains of amino acids that add extra cellular material which can be readily used by your skin for repair and renewal. In particular, Vitamins A, B, C and E are great ingredients to have in an eye cream. Vitamin A or retinol, has many beneficial, anti-aging effects on skin. Vitamins C and E are powerful antioxidants. Moreover, Vitamin C is a natural astringent that can help you whiten dark spots and pigmentation around your eye area, while Vitamin E can deeply moisturize your skin. Vitamin B, on the other hand, helps promote better microcirculation. It’s so easy these days to fill up your shopping cart with items you don’t absolutely need. When buying, always be mindful of your real needs and if the product can deliver the results you want to see. Buying an eye cream is no exception.